Thomas Jerome McDonough, Ashland, age 88, died peacefully on August 26, 2018 with his wife and family by his side at the Brethren Care Health Center. Tom was born on July 26, 1930, in Hamilton, Butler County, Ohio, to parents John Bernard and Frances (Page) McDonough. Tom was proud of his Irish heritage; often wearing green. He was part of an Irish Catholic extended family with 9 siblings, 14 aunts/uncles and 53 first cousins, many of whom lived in the farming communities surrounding Oxford and College Corner, OH/IN. Tom is survived by his wife, Anna Mary (Hrycyk) McDonough. (He often joked their shared birthdate is the only thing they have in common.) On May 17, 2018 they celebrated 60 years of marriage. He is also survived by his children: Tom (Dianna) of Eagan, MN, Andy (Noelle) of Chicago, IL, Susan (Don) Weiler of Ashland, OH, Dan of Ashland, OH, Maureen (Ed) Schroeder of Perrysburg OH, Mike (Pia) of Burnsville, MN; 16 grandchildren located throughout the country: Stacey (Neal), Ashley (Reggie), Brandon (Alexandra), Donnie (Chelsea), Erin (Hechy), Rachel, EJ, Molly, Erich, Sarah, Evan, Caoilinn, Camryn, Jack and Griffin; his first great grandchild: Thomas J. McDonough; sister-in-law, Agnes McDonough of Oxford; twenty-two nephews/nieces; and nine first cousins. In addition to his parents, Tom is preceded in death by his beloved grandson, Dylan Hrycyk Weiler, six brothers, John B., Paul Pat, twins Edgar and Edwin, Kenneth Mark, and James Basil McDonough; and three sisters, Alice Stephenson, Frances Bever, and Martha Nelson. Tom and his siblings attended McGuffey Laboratory School on the campus of Miami University in Oxford, Ohio for grades K-12. Together they “trained” hundreds of future teachers. As a youth, he played baseball and basketball and was involved with 4H and leadership groups, winning livestock and other awards. He graduated high school in 1948, attended the Ohio State University obtaining a B.Sc. in Agriculture in 1952 and a M. Sc in Agriculture Education in 1962. While at OSU he was a member of Delta Theta Sigma Agricultural Fraternity, the Newman Club and other campus activities. His love for OSU continued throughout his life. Tom taught Vocational Agriculture at West Chester High School in Butler County. Tom served in the U.S. Army Signal Corps from 1954 to 1956. Upon discharge he started his career with The Ohio State University Cooperative Extension Service in Toledo, Lucas County, OH, (where he met his future wife), then as Sandusky County 4H Agent in Fremont Ohio. Tom continued with the OSU Cooperative Extension Service for more than 30 years, as Agricultural Extension Agent in Ashland County, Wooster area 4H Agent, and Northeast Ohio District Supervisor for 16 counties (including Ashland). He retired in 1987 as Professor Emeritus of his much beloved Ohio State University. Tom’s agricultural related activities included daily work on the family farm and continued with numerous 4H, county and school agricultural clubs, and agricultural organizations over the years. Some of his favorite activities were annual summer 4H Camps and attending and participating in numerous county fairs throughout the State of Ohio, instilling the love and respect for county fairs to his children and grandchildren. He looked forward to the annual visit to the Ashland County fair with his daughters and sons, attending Jr Fair animal shows/sales and visiting the 4H Dairy Bar milkshakes while sitting on the bench gifted to the fairgrounds in his honor. Tom was deeply committed to his Catholic faith and local parish, St. Edward in Ashland, Ohio. He participated in numerous ministries over his 55 years as a parishioner, including finance and planning committees, Eucharistic Minister, Commentator, Knights of Columbus, St Vincent De Paul, Hunger Center and service industries volunteer. He believed strongly in participating in the community, where some of his other activities included Ashland County United Way, Ashland County Mental Health and Recovery Board, Soil and Water Conservation, Farm Bureau and numerous other community and agricultural organizations. If there was a need, Tom was involved. Tom traveled often in retirement. Tom and Anna Mary took their grandchildren on trips abroad to Italy and Central Europe. To celebrate their 75th and 70th birthdays, respectively, they took their children and grandchildren to Ireland. The family’s two-week drive through the Irish countryside was a cherished memory. All are welcome to attend and celebrate Tom’s life. The family would like to thank The Staff of Brethren Care Skilled Nursing and Wasen Rehabilitation for their compassionate care and kindness over the past 8 months. In lieu of flowers, memorial contributions may be made to St. Edward School, 433 Cottage Street, Ashland, Ohio 44805 or to Ashland County 4-H, 1736 State Route 60, Ashland, Ohio 44805 or to Ashland County Community Foundation, c/o Dylan Hrycyk Weiler Memorial Fund, 300 College Avenue, Ashland, Ohio 44805. 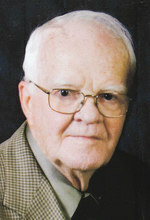 To send flowers to the family of Thomas J. McDonough, please visit our Heartfelt Sympathies Store.